Having been involved with professional sound production for a number of years I did a fair amount of researching before purchasing this piece of recording hardware. Having used the device for a number of professional recordings I feel that my review is fair and considered. When you first get this device out of the box you could be forgiven for thinking it is some kind of police issue stun gun as it has a pair of fixed microphones made of metal which are surrounded by a metal protection cage. Other than the microphones the rest of the device is made completely of plastic. Initially, I thought that the built in microphones would be a poor substitute for using quality external microphones – how wrong I was. There was also a copy of Steinberg Cubase LE, a 48 track digital audio and midi sequencer software included. The Zoom H4 uses SD memory cards to store the audio recordings. The one I purchased came with a 512mb card that I upgraded to a 2GB card giving over 6 hours of 16-bit CD Quality recording and over 30 hours in MP3 stereo mode. Recording is possible in 2-track stereo and four-track mode. The two combination XLR connectors offer microphone, line and instrument input which means that the Zoom H4 can be used for quality stereo recording in WAV 44.1kHz or 96kHz and in mp3 in 2 or 4 track mode. In principle the 4-track mode is ideal for the instrumentalist or composer who want to capture musical ideas or performances that will be edited later using software. Personally, I don’t think it would be easy for a band/group to use this solely for the purpose of creating a demo but incorporating it with the included audio editing software could facilitate this. 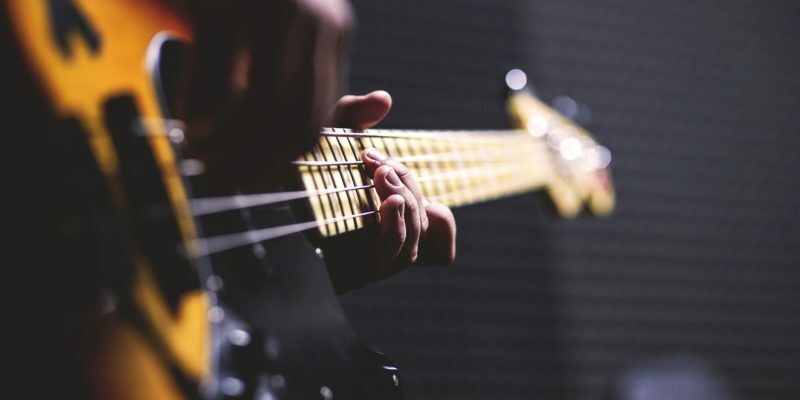 Additionally, there are numerous built in effects, amp and mic modelling presets and compressors onboard that I can only think would be aimed at the musician. 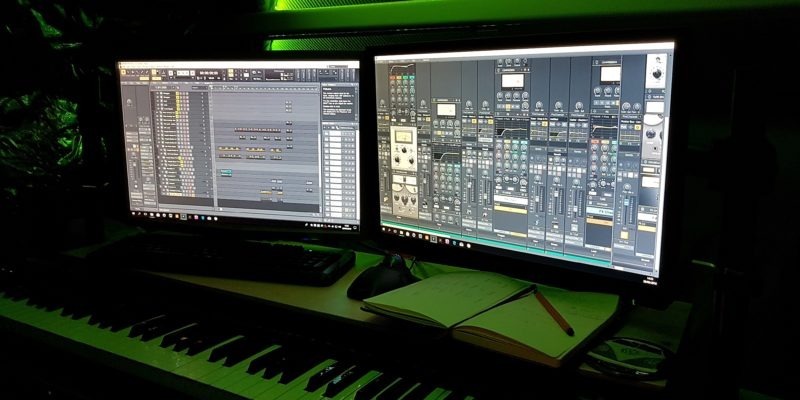 Personally, I would find the user interface too fiddly to be bothered with these, I would just use the H4 to record the raw audio and use the effects / processors in Cubase software provided. The small backlit screen, the centre input menu and side jog wheel provide navigation around the menu driven functionality. I find this system ample for recording raw audio but would lose the will to live if I tried to carry out any processing using this method. I think any serious multitrack recording would be made a lot easier if Zoom had included a software interface for your pc/mac. The ability to use the H4 as a soundcard via a USB connection leaves me wondering why such an option was never created. Despite this being a field recorder / multitrack recorder the headphone socket is the 3.5 minijack variety which means I have to use a special adapter for using professional headphones with it. Also, as it is small and made of plastic a fitted bag or harness and shoulder strap would have made portability much easier. The two built in condenser microphones are fixed in an XY configuration for true stereo recording and are very high quality. I bought the device thinking that I would never use the built in mics as I have a matched pair of AKG C1000s microphones. However, the built in mics are excellent capturing sound as you hear it. The addition of theses built in mics make the device excellent for ambient recordings and even live gigs. 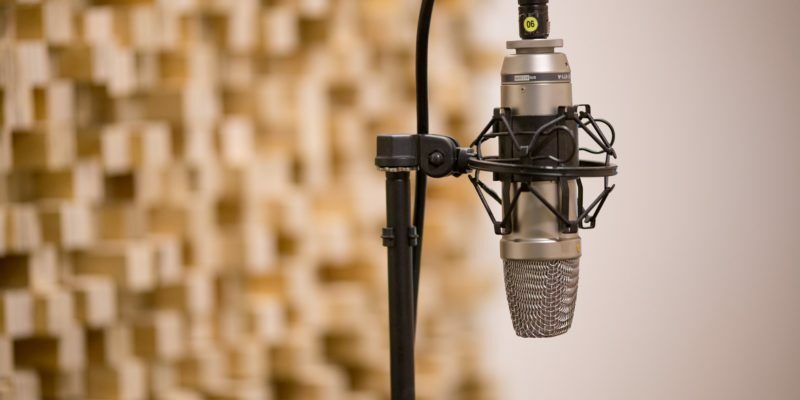 Other reviews suggest that high SPL environments may not be good for these mics, however, I have not found this to be a problem when recording bands rehearsing. Using my AKG C1000s for close mic’ing situations offer complete versatility for the field recording. 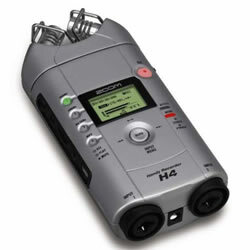 The H4 has 48v phantom power and ample gain for most interviewing situations. Given that the recording quality of the H4 is excellent, the device is lightweight and two AA batteries can keep it running for 4 hours, I think the Zoom H4 is a fantastic piece of kit for the serious podcaster or songwriter wanting to capture ideas or record instrumental parts. For the price, the device is reliable, adequately well built and delivers stunning and accurate recordings in a variety of environments. I am not sure that I recommend this as a multitrack solution for bands though. Despite a couple of little niggles I think this was a great purchase and would highly recommend it. has kept me occupied and interested for over 15 minutes! Discovered when I googled “podcast ident” as I wanted a definition. Got sidetracked by your review of the Zoom H4 digital audio recorder. my husband is a musician who keeps forgetting his new compositions, I nag him to record them on his mobile phone, but hey surely a Zoom H4 would change our lives & be the perfect birthday gift for instant hand held recording? Well, it probably would be, if it cost a bit less. What really bothered me though is your link to purchase on Amazon took me away from your website. And you’re an entrepeneur! come on Lee – Keep Me Browsing! Open external liks on a new tab and keep me engaged. You never know… one day I might even need your services! I would say for capturing a rough draft of a composition for recall later there are probably some much cheaper gadgets around. I know some very cheap mp3 players now have Dictaphone capabilities. Not the greatest quality recording, but if it is the difference between forgetting a composition or capturing for development later, it is probably worth spending a few quid and still a great present for your husband.